At its most basic, rice pilaf is plain rice that is cooked using broth instead of water. Vegetables like diced onion, carrots and peas are usually added to the mix as well. Almost all vegetables come out delicious when making rice pilaf. So feel free to get creative with your veggie choices. It’s an upgrade to your plain rice – but not so much work that you’d hesitate to whip it up on a busy school night. We like to think of rice pilaf as plain rice that happened to get a little dressed up and headed out for drinks at a swanky bar. Nothing extravagant. Just a little extra panache. 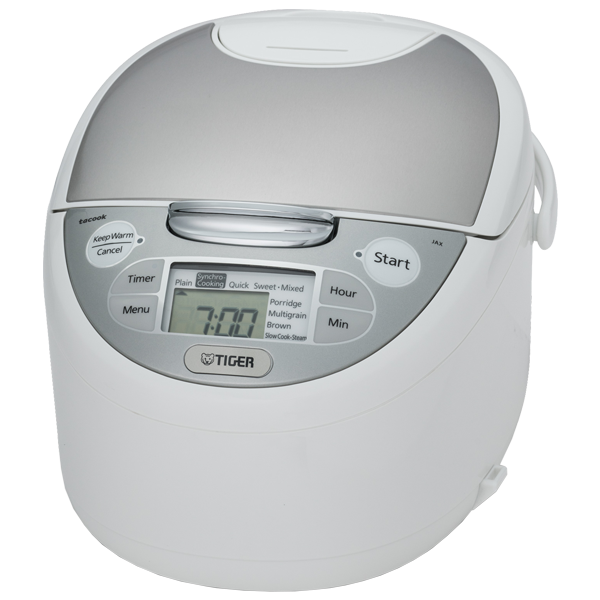 Is rice pilaf easy to make in a rice cooker? One word: YES! As it turns out, rice pilaf in a rice cooker is not only easy, it’s encouraged. 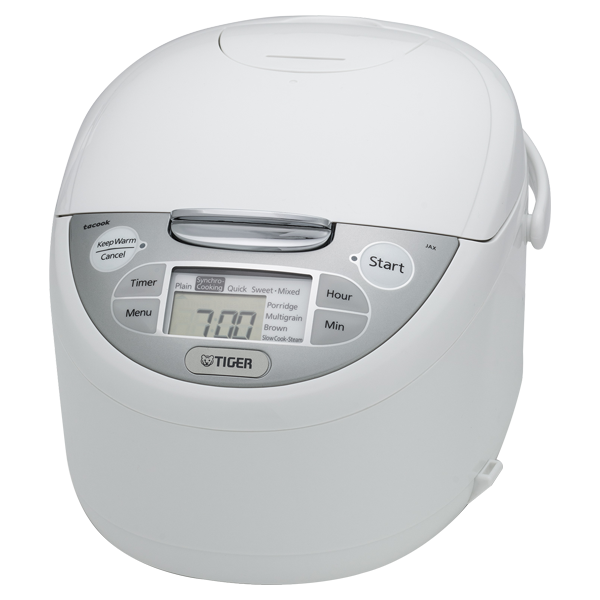 Now, if you’ve ever looked up how to make rice in a rice cooker, you’ve seen how easy it is. 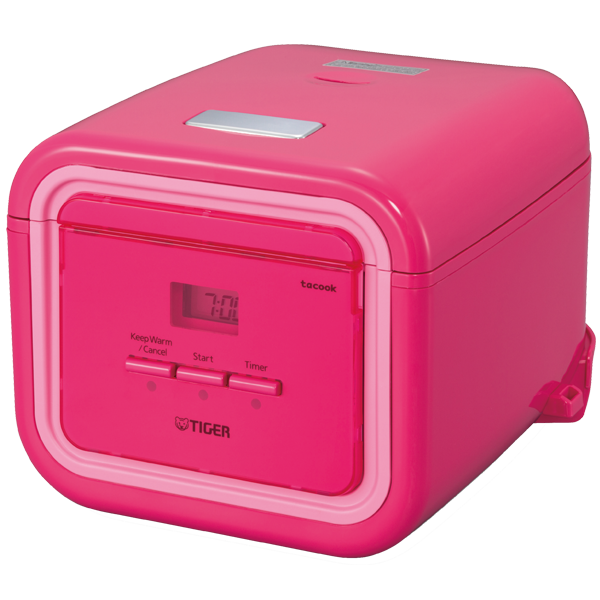 Your Tiger multi cooker has one touch settings that get it right every time. But the best part of this rice pilaf with mushroom chicken recipe is that it’s pretty much as simple to accomplish as making plain rice! 10 minutes of kitchen prep is all it takes. 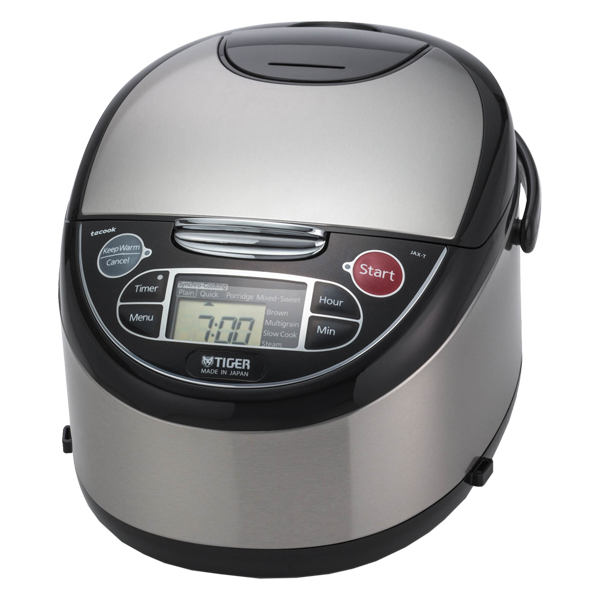 Once your multi cooker is loaded up, just select the Syncro-Cooking function and press the start button. Your work is done! 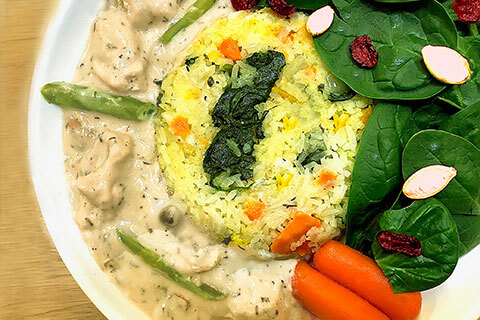 While the veggie packed rice pilaf is cooking in chicken broth in the inner pot, your mushroom soup loaded green beans and chicken are being perfectly steamed in the Tacook plate above. This savory rice pilaf recipe tastes like a holiday feast – but is beach-body friendly. 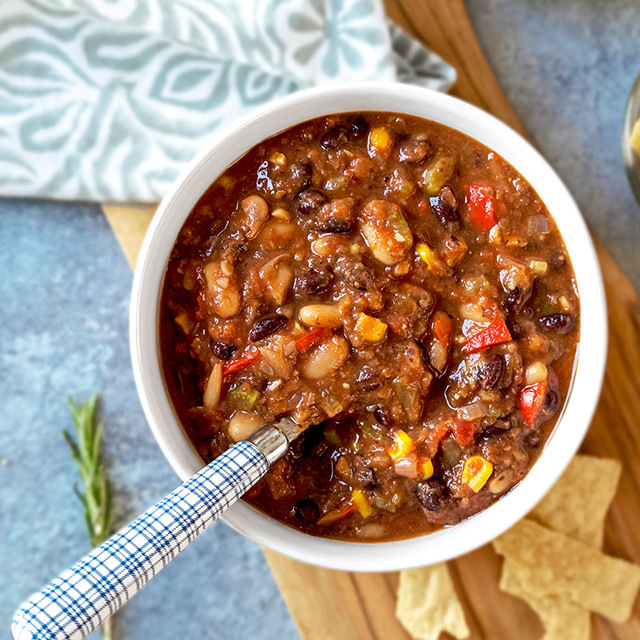 You’re going to find that delicious was never quite so easy to accomplish (or have fewer dishes to wash)! We absolutely love one pot meals! A well rounded, healthy and delicious dinner that can be prepared with minimal cleanup is a luxury in any busy household. And we’re not following the traditional route of a one pot chicken and rice bubbling away on the stovetop. Nope. 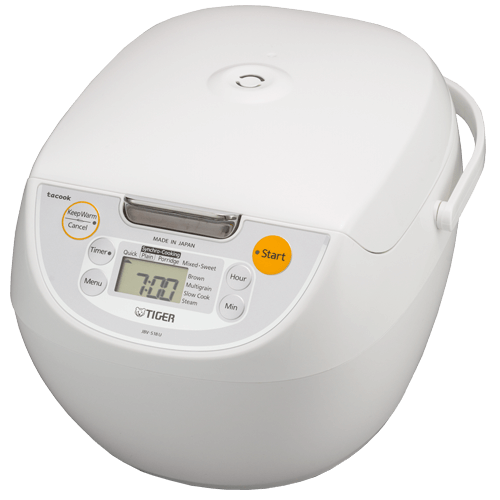 We’re going full-on-future, and making it in a Tiger multi cooker! You’re going to fall head over heels for this savory and healthy autumn rice pilaf with chicken and mushroom green bean casserole. It’s a full, balanced meal for the family in the press of a button. Best part: you won’t have to guess whether or not every aspect of your meal is cooked to perfection. When the timer goes off, it’s dinnertime! Measure 3 cups of rice using supplied measuring cup and wash rice. Place washed rice in inner pan. Fill inner pan with chicken stock until level 3 as indicated on the inner pan. Place ½ large onion (diced), butternut squash (diced), carrots (bite sized pieces) in the inner pan. Fill up the inner pan with chicken stock until level 4 as indicated on the inner pan. Place ½ cup butter and stir. Season with garlic powder and salt and pepper as desired. Set inner pan in rice cooker. Cut ½ lb green beans into halves and place in tacook plate. Cut 200g of chicken filet into bite sized pieces place in tacook plate evenly. Season chicken with thyme as desired. Pour can of cream of mushroom onto tacook plate. 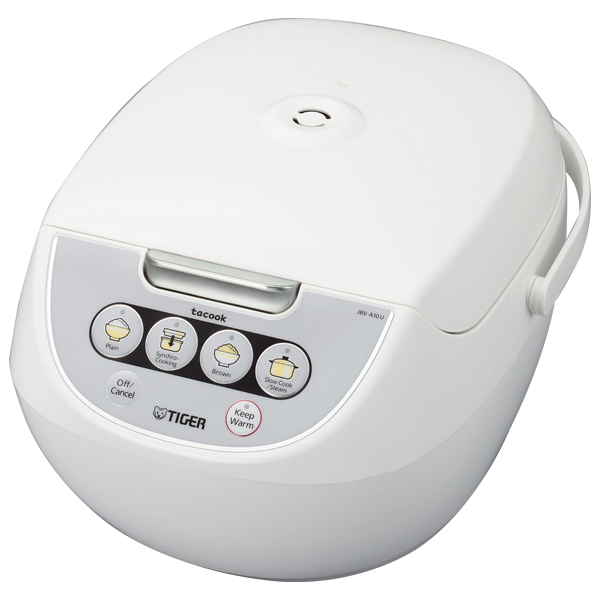 Place tacook plate inside the rice cooker. 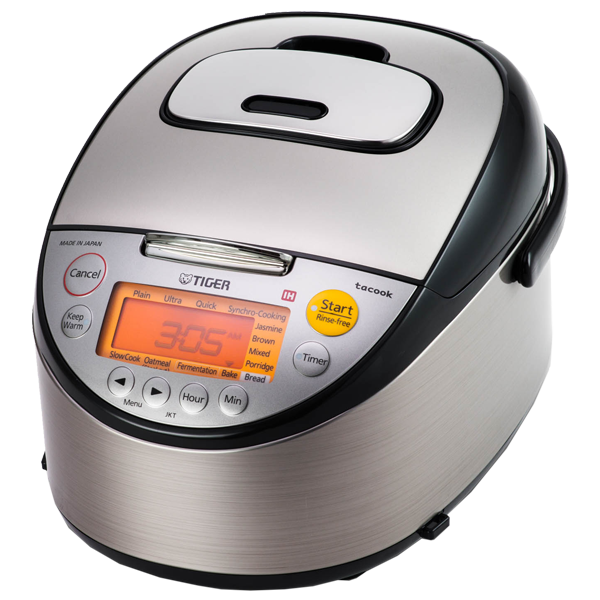 Select the synchro-cooking function and press start.